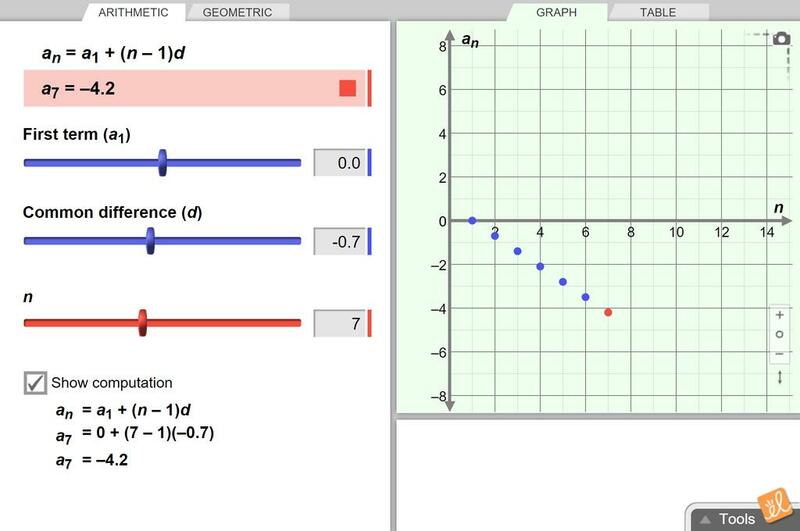 Find the value of individual terms in an arithmetic or geometric sequence using graphs of the sequence and direct computation. Vary the common difference and common ratio and examine how the sequence changes in response. State of Florida - MAFS Florida Standards Assessment - Gizmo Resource for Algebra I. Contains sample ques... (more)tion stems, various response mechanism types, and Gizmo suggestions for teacher and student use.